It’s a bad day for the Patriots. It’s an especially bad day for New England’s iconic quarterback, Tom Brady. The Patriots are Super Bowl champs, but the NFL also believes the Patriots are cheaters. The Patriots certainly didn’t need to illegally deflate footballs to beat the Indianapolis Colts, 45-7, in the AFC Championship game, but according to Ted Wells’s report released Wednesday, they went ahead and did it anyway. The report also says it is “more probable than not” that Brady “was at least generally aware” of the tampering. Golden Boy Tom is likely to be sanctioned when the NFL doles out its punishment in the wake of the damning report issued Wednesday afternoon. So there. Deflategate takes its place alongside Spygate. The damage to the Patriot brand is universal and eternal. Brady, the Patriots, and their fans have to live with it. Patriot toadies no doubt will line up to say that the league did not prove anything that would hold up in a court of law (Brady’s dad has already labeled it “Framegate”). It’s all circumstantial, they’ll say. Plus, it says right in the report that Bob Kraft and Bill Belichick knew nothing about the intentional deflation of the footballs. It was just a couple of rogue equipment guys breaking the rules. The 243-page report, which took months to complete, was released finally Wednesday. Good luck with that one, folks. Bend yourself into a pretzel if you must, but Brady and the Patriots are insulting your intelligence if they want you to believe that they were not aware of what was happening to the footballs on game days. No organization, no coach are more attentive to detail than the Patriots and Belichick. And we’re supposed to believe that before the kickoff of the AFC Championship game, a veteran team locker room guy can disappear while he’s in possession of game balls that have already been approved by officials? Seriously, when do the Patriots stop lying and come clean on this thing? The damage is done. Insistence on innocence is not likely to be helpful when we get to the penalty phase of this scandal. Nobody in Foxborough looks good. Brady looks like a guy who broke the rules and lied about it. Belichick looks ridiculous in the wake of his Jan. 24 Mona Lisa Vito science lesson. And Kraft evidently has been duped. Again. Just as he was duped on Spygate. And on Aaron Hernandez. Remember Kraft’s defiance when he arrived in Glendale, Ariz., for the Super Bowl? The 243-page report released Wednesday concludes that it is “more probable than not” the Patriots broke the rules and deflated the footballs. The mountain of evidence makes it impossible to draw any other conclusion. The paper trail indicates that Brady did not communicate with equipment guy John Jastremski for six months, then engaged in multiple conversations with Jastremski (more than 20 minutes of talking) in the days after the scandal broke. The notion that Belichick did not know this was going on makes one’s head explode. Nothing happens in Foxborough without Belichick’s knowledge. Reporters check in at “security command” and are videotaped asking questions. No detail is too insignificant. On Jan. 24, Belichick defiantly explained why the footballs would have become deflated during the course of the AFC Championship. It was all about science and weather. Unfortunately, the report states that only the 11 Patriot footballs were discovered to have a PSI level below league limits. 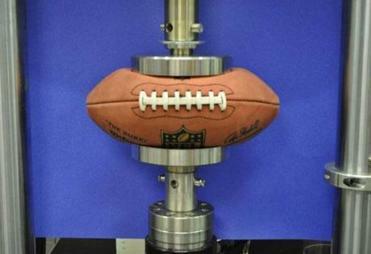 All four Colt footballs magically maintained a PSI within the league limit. So Belichick’s science explanation is flawed. But it is Brady who has the most explaining to do. It stretches all believability to conclude that he had nothing to do with this. And it damages his hard-earned legacy across America. There are simply too many football people telling us that there is no way Brady can be telling the truth. We all know that America is populated by jealous Patriot haters. Brady and the Patriots do themselves no service by impeding the investigation (team counsel would not let Wells have a second interview with Jim McNally, the officials’ locker room attendant) or telling us the sun is out when we are standing in the middle of a downpour. The Patriots won the Super Bowl fair and square, with PSI-regulation balls. They did not need deflated footballs to beat the Colts. It certainly cannot be proved the Patriots were doing this every week. But they have armed their legion of enemies with a new weapon. A deflated football is easier to throw, easier to catch, and harder to fumble. The rule allowing each team to prepare its own game balls went into effect in 2006. Since 2007, the Patriots have fumbled far less than the NFL average (once every 187 plays, compared with once every 105 for the rest of the league, according to Slate). They have also been the greatest bad-weather team in the history of football. Now folks in Pittsburgh and Denver and Indianapolis are going to say the Patriots have been better because they cheated. This makes the deflation of footballs more than rolling through a stop sign. If there were no competitive advantage, why would the Patriots be doing it? NFL commissioner Roger Goodell loves Kraft, loves Brady, and he loves the Patriots, but he presumably has to answer to 31 other owners — most of whom have had their butts kicked by the Patriots on a regular basis. Sanctions are coming. For Brady and maybe for the Patriots. It’s about systematically breaking the rules of competition. It’s about a loss of institutional control. And a legacy tarnished again.